FC Locksmith offers an extensive service designed to assist you with keys and locks, as well as the security of your property. As well as providing traditional locksmith assistance, such as key-cutting, lock-picking, and lock repair, FC Locksmith also offers Concord residents the opportunity to safe-proof their home. 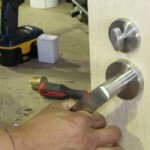 Our expert locksmiths are trained in window, door, and lock detail, as well as alarm installation. From simple, budget-friendly alarm systems to state-of-the-art models, we can ensure that your home is protected from intruders as best it can be. We’ll even provide a full security evaluation if you’re interested. All of our residential services are also available to Concord businesses, including our security alarm installation service. Our team of professional locksmiths is also able to organize your interior and exterior locks to ensure that you’re getting the most out of your security set-up. If you ever find yourself locked out of your vehicle in Concord, FC Locksmith is here to help you get back in. As well as lockout assistance, we can also reprogram faulty transponder keys as well as duplicate traditional car keys. 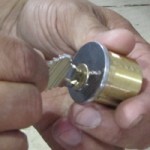 FC Locksmith is proud to be Concord’s 24-hour locksmith. All of our services are available around the clock, 365 days a year. Simply call us up and we will have a fully-equipped locksmith with you in a matter of minutes.